In the United States, there are 534 million tons of construction and demolition materials, more than twice the amount of generated municipal waste. This includes old roofing systems, such as asphalt shingles. Asphalt is an important commodity in the U.S.; it’s the main component of 80% of roofs and 94% of roads. When used for roofing materials, it is strong and adaptable. It is often mixed with sand, glass and limestone, which provides superior strength to the system. At Signature Exteriors, we have collaborated with GAF to provide homeowners with weather-resistant roofing systems. These products can guarantee long-lasting beauty and protection to your home. They also come with strong warranties to secure your investment. Unlike taking your old asphalt shingles to a nearby landfill, why not consider recycling them? This is more cost-effective than the latter, which can help save some money. Plus, you won’t only be reducing your expenses, but you will help protect the environment and conserve natural resources. 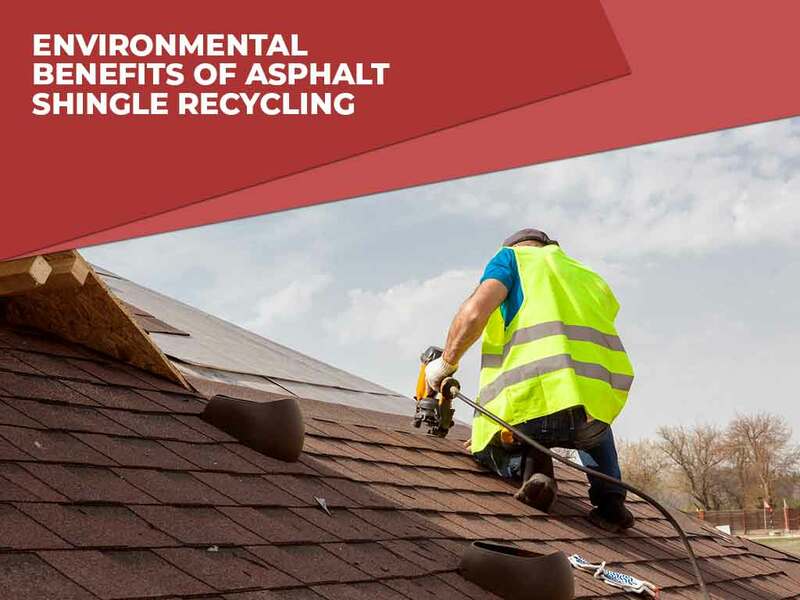 Though it is not available everywhere, recycling asphalt shingle roofing is gaining popularity. Shingles, felt, asphaltic underlayment, nails, and flashing can also be recycled. Your roofers will separate the roofing materials but they don’t have to segregate the nails. The grinder at the recycling yard can pull off the nails with a magnet and recycle them. This results in about 15 pounds of nails for every ton of tear-off shingles. Signature Exteriors, one of the leading roofing contractors in the area, installs high-quality roofing systems from GAF, the largest roofing manufacturer in North America. Call us today at (866) 244-8029 to learn more about our products and services. We serve residents of Greenwich, Danbury and other nearby areas in CT.